This family was invited to take turns to describe their favorite features in little baby Nate. Having a baby is an incredible special time for a family. Whether it's a first child or a fifth, adding a new addition means love is flowing freely, adjustments are being made, and new memories are being created every day. So, it's no surprise that so many families seek out photographers when a newborn arrives into their lives. Because of the popularity of newborn sessions, and that fact that they can be done at any time of year and during the slow portions of your week, newborn photography is a great genre to for any photographer to integrate into their repertoire. However, before you can shoot newborns you need to decide how you want to shoot them. As with all other forms of photography, there is not a one-size-fits-all approach. 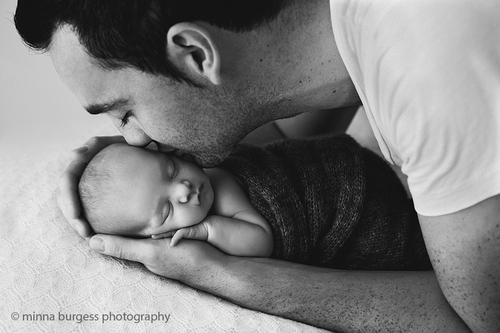 Below are some of the different approaches to newborn photography. 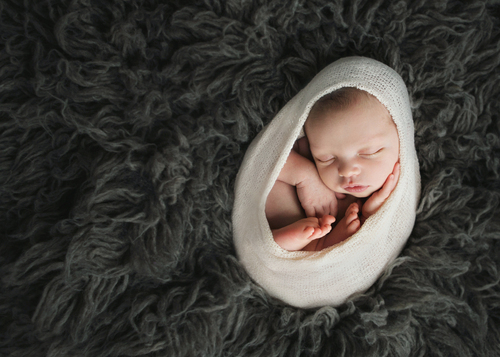 Styled and Posed: When many people think about newborn photography they think about adorable poses like a baby resting his head on his hands, a tiny baby in a basket, or a baby who is nice and cozy in a beautiful wrap. These poses can't help but make parents smile. If this style speaks to you, learn how to get the right poses and props and wraps. 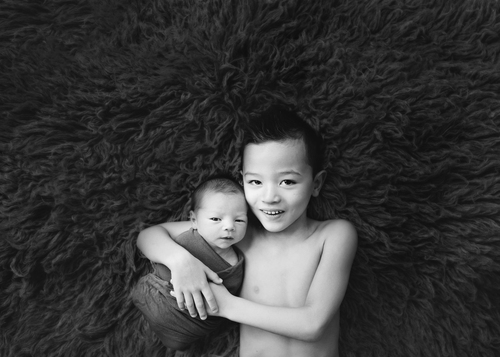 Alicia Gould is an experienced newborn photographer who teaches newborn photography at Clickin Moms. Her class covers everything from the ground-up including finding the best light for newborns, how she achieves those adorable poses including with composting techniques, interactive poses with parents and siblings, and even soothing techniques. Even if you are not going for typical newborn poses, Alicia's eWorkshop All Bundled Up: Connected and Cozy Newborn Sessions showing different kinds of wraps will come in handy. Documentary: Life with a newborn is never dull. For families, getting to know the new little person in their lives means every-day activities are filled with amazement. For this reason, newborn shoots can be a great time to take a documentary approach to newborn photography. Families will love having photos that truly document their first weeks with their baby, from the look of adoration a Dad gives his baby during a diaper change to the way Mom approaches feeding. Family documentary photographer Kirsten Lewis shares her approach to documentary newborn sessions in her Modern Family Storytelling class online. Her advanced class, Family Photography: Photojournalism in the Home teaches photographers how to shoot families under even the most challenging of circumstances. Moment Design: Looking back on newborn photos many families will want to remember not just what they looked like when they brought their little one home, but what it felt like to welcome a new addition into the fold as well. Moment Design, created by Jesh De Rox, allows for genuine interaction and expressions to be purposely brought out at any given moment by using scripted questions and prompts. 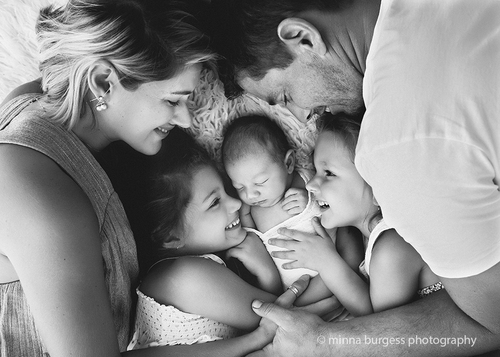 Minna Burgess developed Expression Invites: Newborns to evoke genuine expressions and connection for parents, siblings, and other family members during newborn photoshoots. The Invites are worded in ways that allow clients to easily and naturally connect with each other and their baby while they are being photographed, resulting in images that evoke feeling and tell a story. Often new parents leave their session feeling closer to each other and having had a special experience they will remember every time they look at their images. There is a Facebook group dedicated just to newborns, First Moments, with free tutorials on posing, lighting and more. Lifestyle: Lifestyle newborn photoshoots are typically done in the family's home and strive to convey what life is like for the family. Lifestyle shoots are different from documentary photoshoots in that the photographer will often control the lighting, direct the family to engage in certain activities, and suggest poses. However, unlike traditional posed newborn photography a lifestyle session will capture a family sitting on their sofa, feeding in the nursery, changing the baby, etc. with some direction from the photographer. Since lifestyle shoots are a hybrid approach, photographers can incorporate aspects like wrapping and Moment Design Expression Invites to make their work stand out. This new Dad was invited to think about something in the future that he is really excited about them doing together. He was asked to visualize it happening and when he had a clear picture in his mind bring his baby close and let that feeling of love and excitement about the future show in the way he kissed his baby. He then imagined that his kiss was the seal of promise that he would make it a reality. Fresh 48: A relatively new approach to newborn photography is photographing babies within the first 48 hours of their lives, whether in the hospital or at home. These sessions make scheduling a little unpredictable but are a great way for families to capture those first hours with a new baby. Think Safety First: If you are considering delving into any style of newborn photography that involves poses a firm understanding of safety is essential. 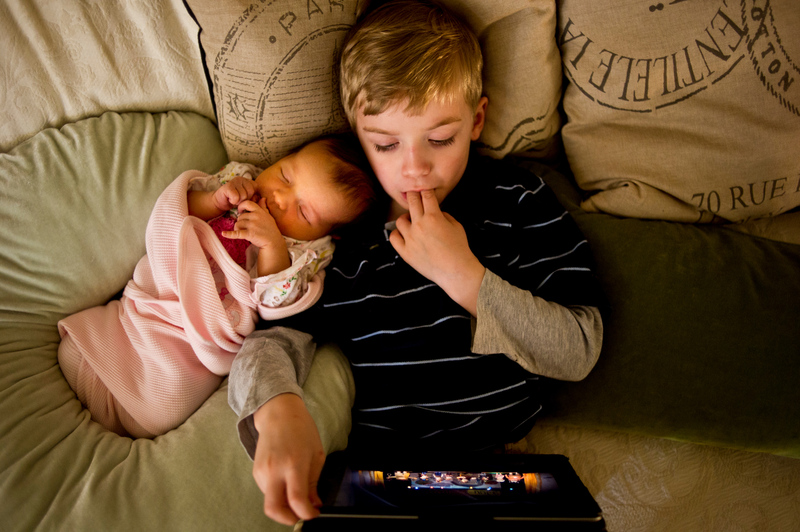 Kelly Brown goes in-depth into Baby Safety and Posing for Newborn Photographers in her online class at CreativeLive. Kelly teaches everything you need to photograph newborns safely from properly sanitizing equipment to how to execute advanced poses with no risk to the baby.